When the first versions of the Rover 2000 were introduced in 1963, it was a huge departure for the staid old company, known best for its P4 that dated back to 1949. The new P6 (P5 was the big 3-Litre of 1959) was an entirely modern design, owing much to the Citroen DS19, which early prototypes resembled. The two-liter SOHC four-cylinder was brimming with new ideas, inside smooth lines and quad headlights, flanking a small grille that replaced the kennel-gate of the P4. The long list of innovations included de Dion rear suspension with inboard disc brakes, making it one of the first truly mass-produced cars to have disc brakes on all four wheels. The P6 had a unibody chassis, but the external panels were unstressed and could easily be removed and replaced like those of the Citroen DS. In addition, the car incorporated a number of safety features, such as standard seatbelts and safe interior trim pieces, which were revolutionary for the day. Horizontally-mounted springs on the front suspension also allowed room in the engine compartment for the planned gas turbine engine from Rover’s successful 1963 Le Mans entry driven by Graham Hill and Richie Ginther. The engine of the P6 was designed specifically for the car, with an overhead camshaft layout with the combustion chambers cast into the piston crowns. As innovative as this design was, however, it only put out 104 hp, so for 1966 Rover redesigned the top end and fitted twin SU carburetors that added 20 more horsepower. The result was the 2000TC, which had some rally success. The gas turbine’s unmentionable fuel consumption consigned it to a museum, like Chrysler’s still-born project. Unfortunately, customers didn’t appreciate the Rover 2000’s technical niceties, complaining that the rear suspension reduced trunk space significantly. A ham-fisted option mounted the spare tire on top of the trunk lid. In addition, the inboard rear disc brakes proved a huge pain to work on, and did not appreciate being ignored. With all the innovative features, the car was prone to a variety of mechanical problems that required a skilled mechanic’s intervention. That did nothing to improve its attractiveness in the U.S., where Rover-trained technicians were scarce. While 327,808 were sold in the 10 years of production from 1963-73, running survivors in the U.S. are about as rare as running DS 19s. By 1968, it was clear that the four-cylinder engine in either form wasn’t competitive in a four-door sedan, so Rover, now a part of British Leyland combine, installed the Buick aluminum V-8 which it had acquired from General Motors, to create the 3500. 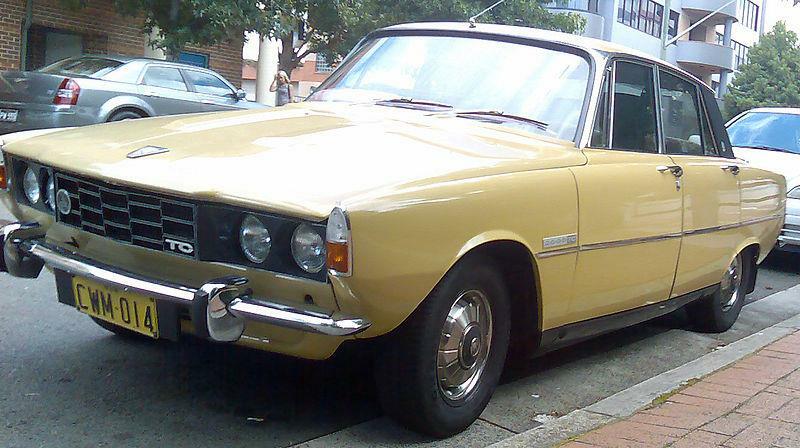 The Rover 2000 was bumped to 2200 cc in 1973 for the UK market, and lasted until 1977.